London : Thomas Murby, 1884. Description : frontis., xii, , 144 p., [8 l.] pl. ; ill.: 1 phot., woodcut fig.s ; 19cm. 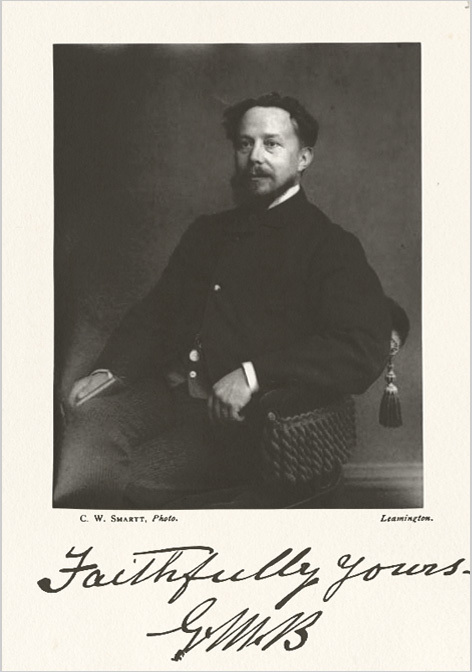 Photograph : tipped in photo portrait (frontispiece). Photographer : C. W. Smartt. Subject : Skeleton — Osteopathy. Author caption: By George Matthew Bennett, Specialist for all kinds of Dislocated Joints, Fractures, Sprains, etc. Photo caption: C. W. Smartt Photo. Leamington. | Faithfully yours, G.M.B. A modern edition with a preface written by Peter Hawkins was published in 1981 by Tamor Pierston of London. Excerpts of Hawkin's preface and of Bennett's text are accessible on the internet. The book is an important resource for the history of osteopathy and includes bibliographical references, some quite old.